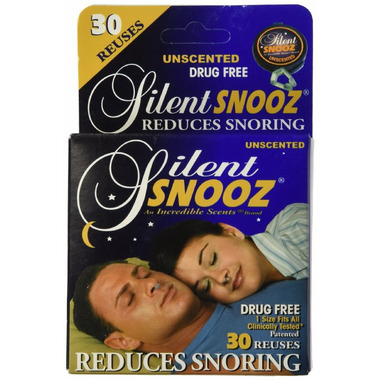 Silent Snooz is a reusable drug free latex free, unscented device that stimulates the nasal septum to promote freer breathing and to reduce snoring. Reusable for a full 30 nights, washable, comfortable and easy to apply. One size fits all, Made in USA. This has reduced my snoring by 50% according to the Snore Lab app. I highly recommend this product.